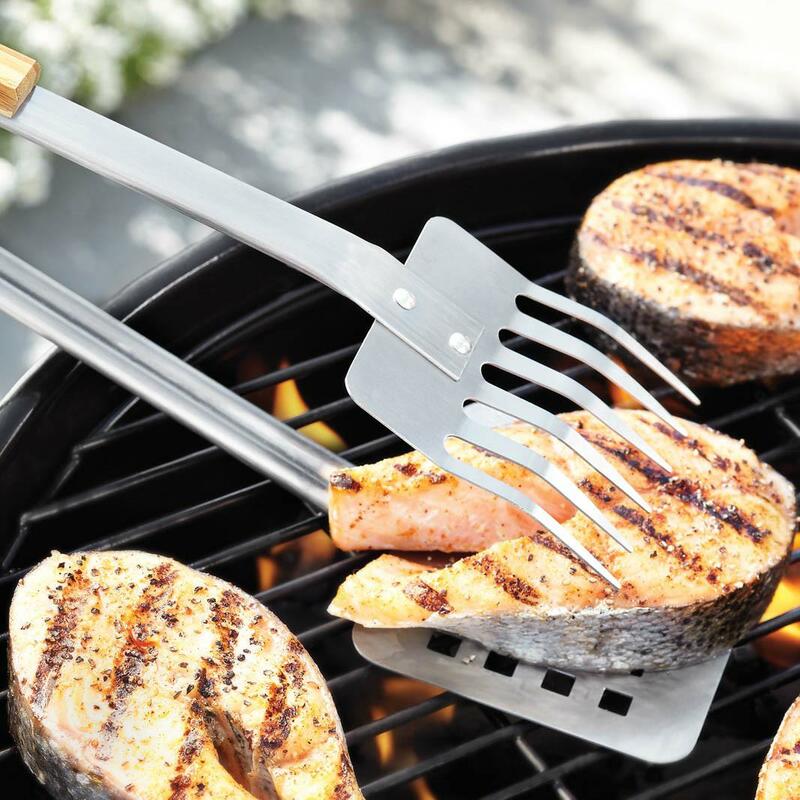 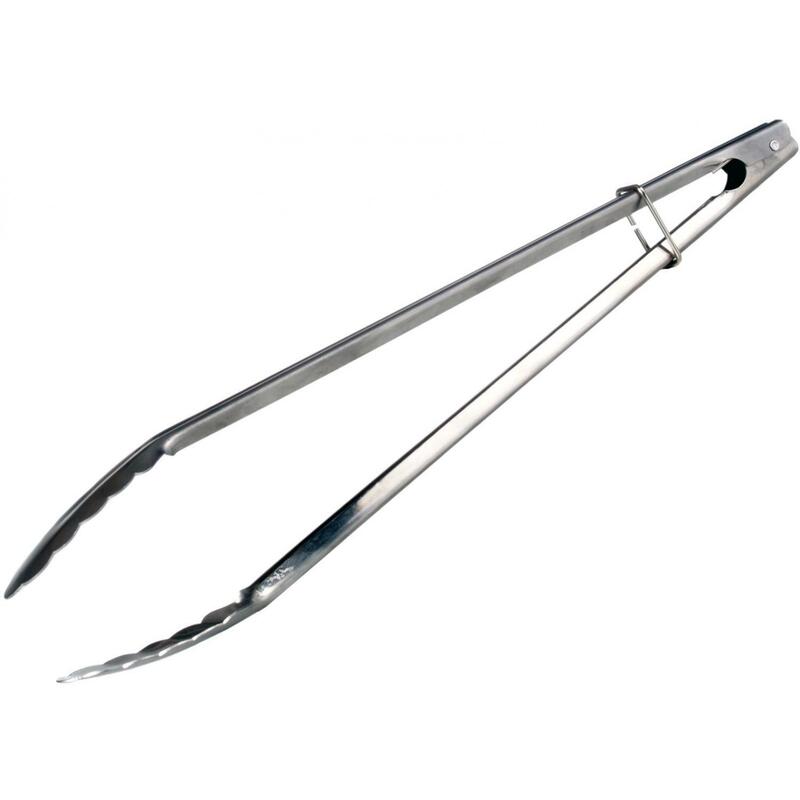 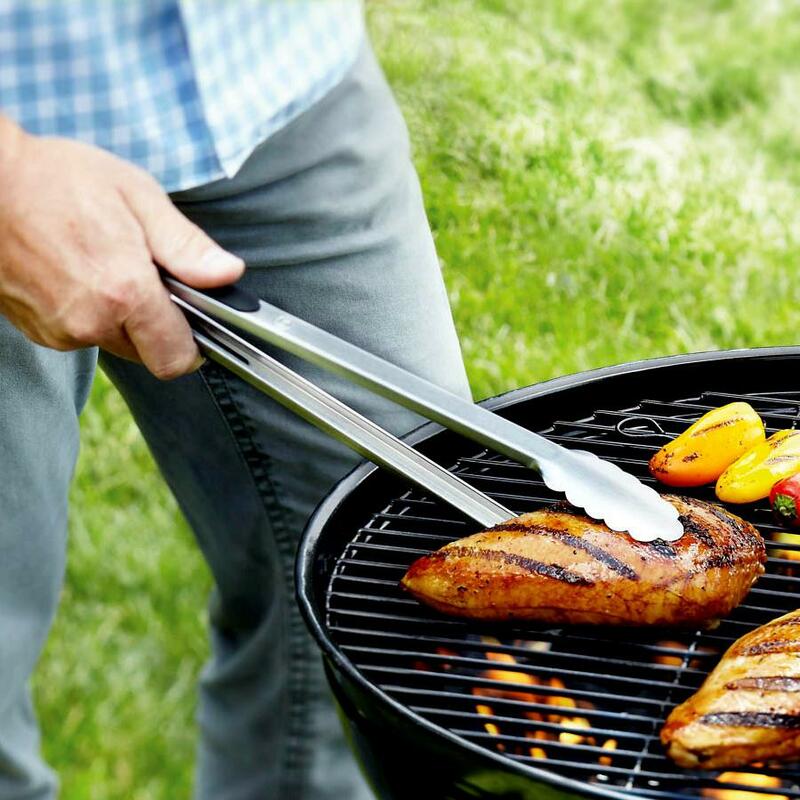 Product Description: Broil King 18-Inch Imperial Stainless Steel Locking Tongs. 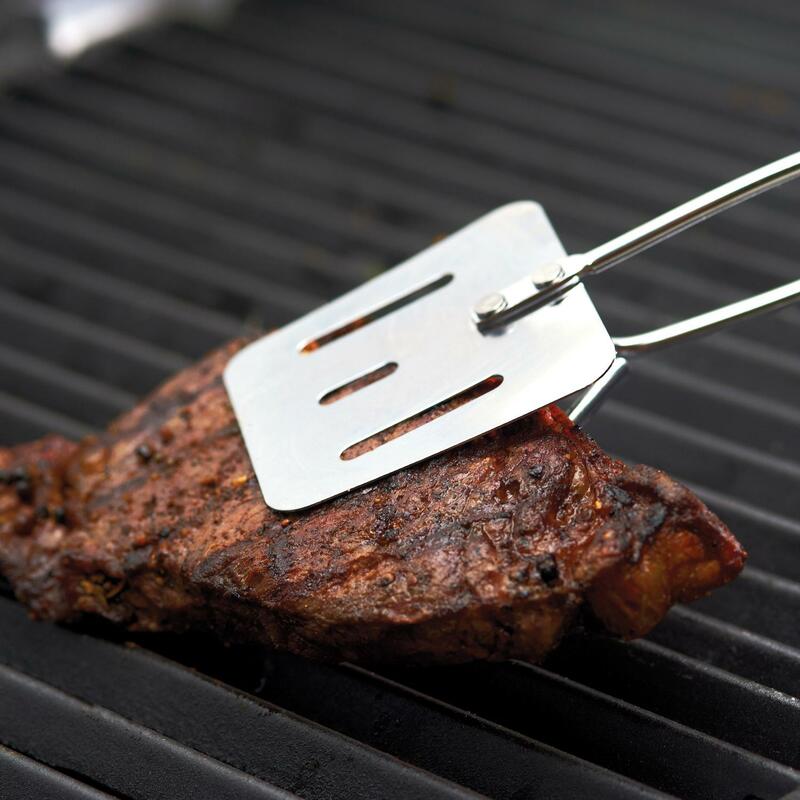 The Broil King Imperial locking tong combines the lifting function of a grill turner with the gripping power of grilling tongs. 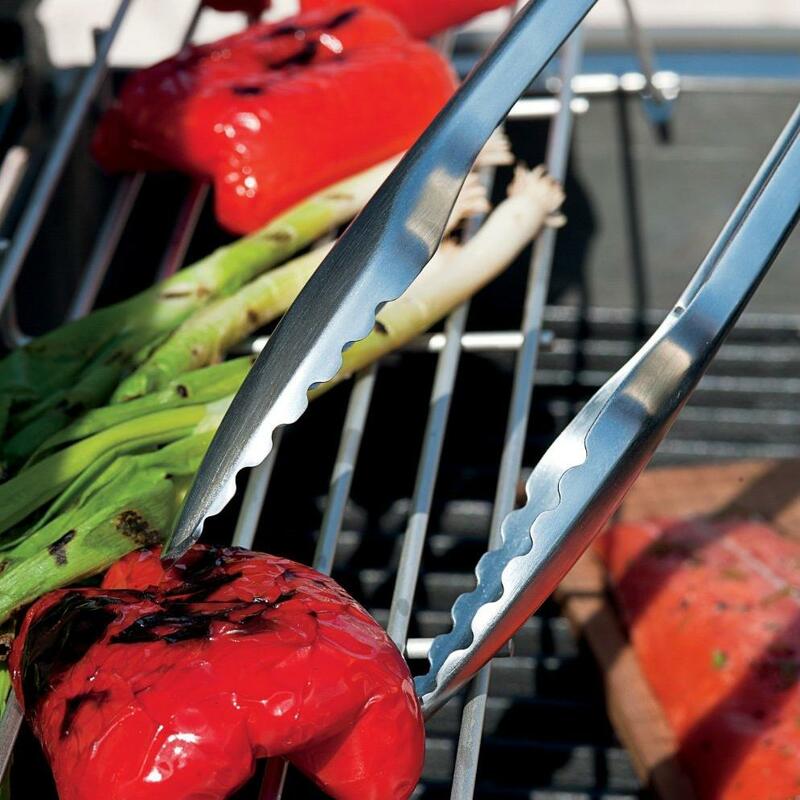 The locking mechanism also doubles as a hanging hook. 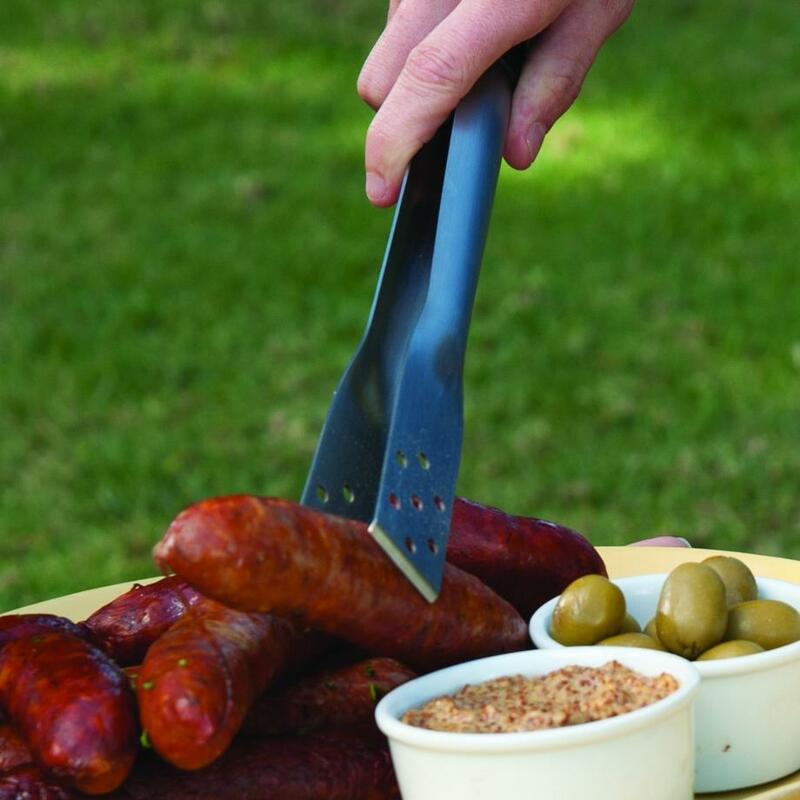 The tong is made from quality stainless steel with a high density resin handle.